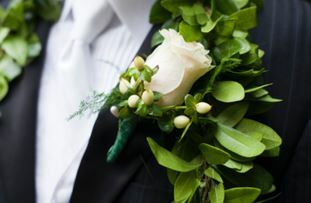 The Holiday Inn Southgate Banquet & Conference Center is the perfect place to plan your Wedding or Special Occasion. As one of the area’s most renowned destinations, the Holiday Inn Southgate Banquet & Conference Center stands at the forefront with 9,000 square feet of meeting and banquet space. With decades of experience hosting exquisite dinners, and lavish weddings, the Holiday Inn Southgate has achieved an incomparable reputation for gracious hospitality and exacting standards. Culinary brilliance, exemplary staff, and the desire for providing excellent service are hallmarks of an event held at the Holiday Inn Southgate Banquet & Conference Center. From the bridal shower and the rehearsal dinner to ceremonies and weddings… brides & grooms, professional wedding planners and guests have all come to rely on the legendary service and style for events that surpass the most challenging expectations. Weddings, anniversaries and other milestone events become memories of a lifetime at the Holiday Inn Southgate Banquet & Conference Center. Let our banquet catering staff assist you in planning your special day. Ala Carte’ options are available to design and customize your wedding to suit your desires and budgetary needs – to the last detail . 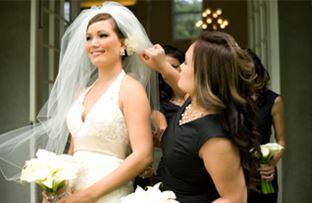 Call today and schedule a private tour of the hotel and personal consultation with a wedding planner. Packages are built for a minimum of 100 people. For less than 100 people, add an additional $2.00 per person, plus tax and gratuity to the chosen package price. Tax and gratuity will be added to package pricing. A 10% discount will be applied to packages for Friday and Sunday events. Reserve a block of 10 or more guest rooms and receive a special wedding block rate. If 10 or more rooms are utilized within your block. *Based on availabiity, if one is not available, bride and groom to receive a standard complimentary guest room. To take your guests to and from the reception site. Call for prices and availability. We offer a great selection of menus at affordable prices. Let us do all of the work! Looking for a Place to Have Your Rehersal Dinner? We have fun menus to suit your needs! Call 734-283-4400 and ask for the sales department to inquire.